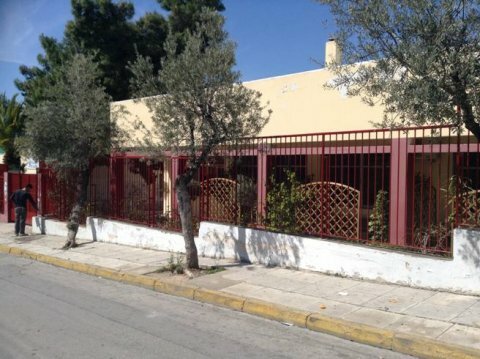 4th GENERAL LYKEION OF ALIMOS–MAKRYGIANNEIO is a State Secondary School situated at Alimos, a suburb of Athens South, near the sea, Saronic bay, giving to the Aegean Sea. 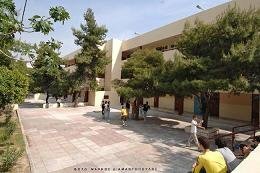 It counts 370 students (age 15-18) and 40 teachers and according to Greek standards it is meant to be a big secondary school. Alimos is a strongly populated urban region which counts about 100.000 residents and is considered to be one of the prettier suburbs of Athens. We offer strictly pre-university education and the respectively subjects conclude law studies, classical studies, medicine, economics, informatics, polytechnics, engineering, mathematics, social and political studies as well as foreign languages. The school has three classes. 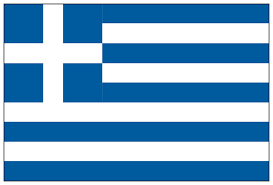 In the first class the courses offered are general education courses focusing on the Ancient and the Modern Greek Language & Literature, Mathematics & Science. As electives in this class are being taught Informatics, Natural Resources Management and Theater Studies. As a foreign language our students can choose between English, French, German. In the second grade apart from the general knowledge subjects mentioned above, students choose the orientation courses that lead to the object they would like to study at University. There are three orientation groups: Humanities, Science and Engineering degrees, IT & Economic studies. In the third grade curriculum is designed on the model of the second grade. The guidelines remain the same with much more intensive program. Students select their orientation courses but also additional courses that lead to five different fields: Classical Studies, Law and Social Sciences, Science & Technology, Health Sciences , Education, IT & Economics. Students after succeeding in school’ s exams and having obtained their Diploma(Certificate Title of Lykeion,Baccalaureat), then they have to go through national exams on the orientation courses mentioned above in order to be admitted into the school of their own choice on University level. Students and teachers of our school have participated in a serious number of European Programs since its beginning like Socrates,Lingua and Euroscola, and recently we have also successfully been involved in Comenius Program and different e-Twinning activities. We have also participated in International Students' Congress at Konstantinoupolis/Istanbul at Zographeion Lykeion.4th General Lykeion of Alimos, generally speaking, is an open culture secondary school to the entire world.